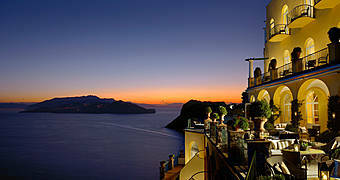 Villa San Michele and Monte Solaro: two of the most panoramic points on the island. From Piazza Vittoria, Anacapri's main square, the town's chairlift transports passengers, legs-a-dangling, up to the summit of Monte Solaro. 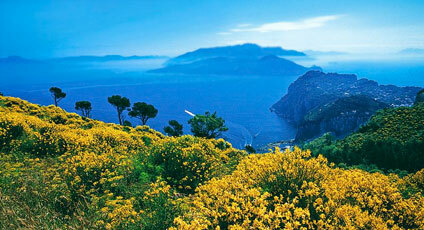 The journey, floating over the countryside of Anacapri, takes roughly 20 minutes. Once on the summit, some 589 meters above sea level, visitors are treated to breathtaking views of the whole of the Bay of Naples, the Amalfi Coast, the Gulf of Salerno and Mount Vesuvius. From Piazza Vittoria a lane leads to the museum created in the 19th century residence of the Swedish physician and writer Axel Munthe. "I want my house to be open to the sun and the wind and the voice of the sea - like a Greek temple - and light, light, light, everywhere!" wrote Munthe. And this is exactly what awaits visitors to Villa San Michele: an explosion of light which illuminates the panoramic terraces and rooms filled with Munthe's collection of precious antiquities and unique archeological findings.